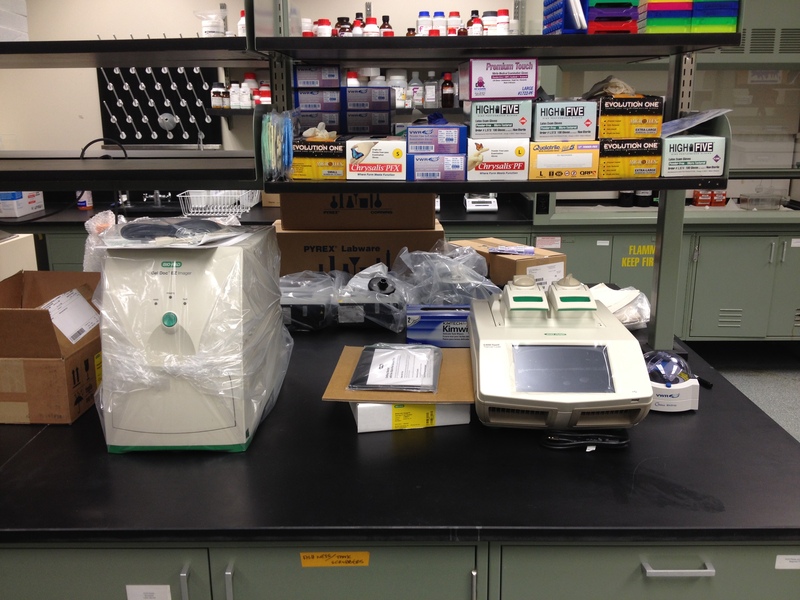 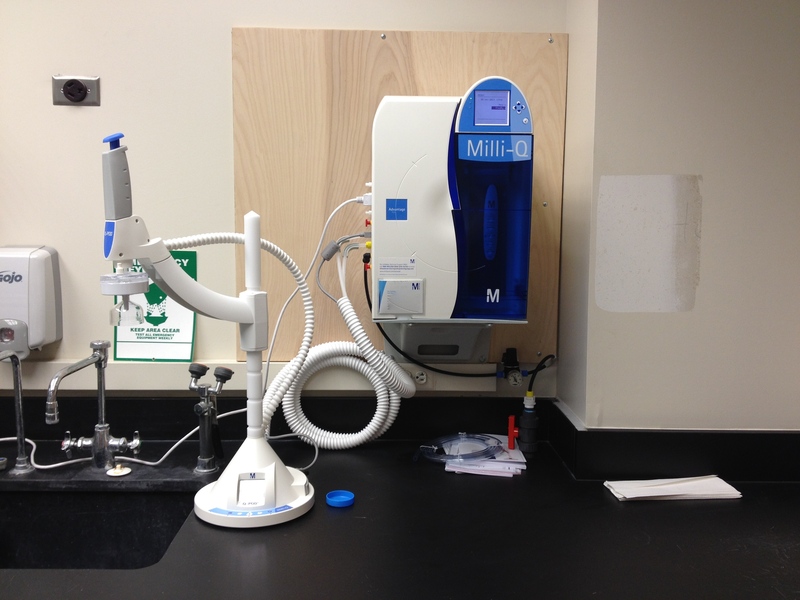 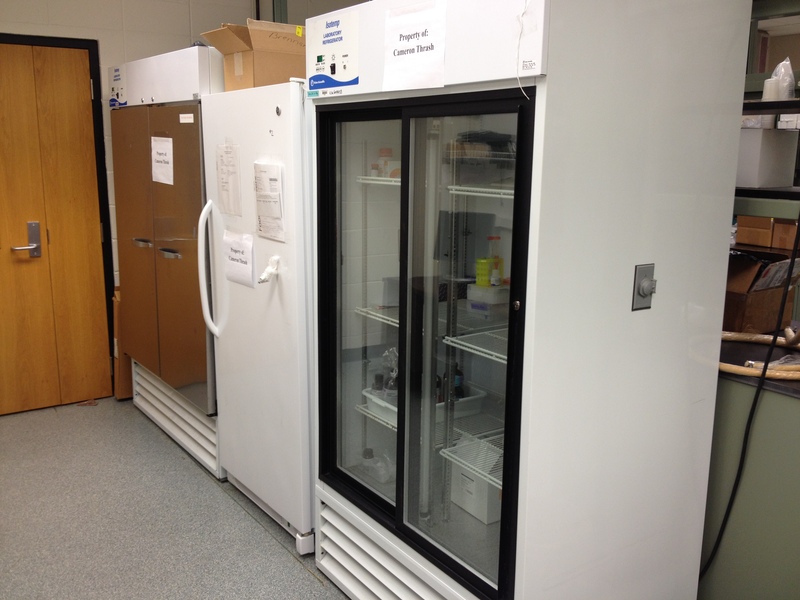 The lab is slowly coming together, and at this point most of the initial major equipment is present, if not unwrapped yet! 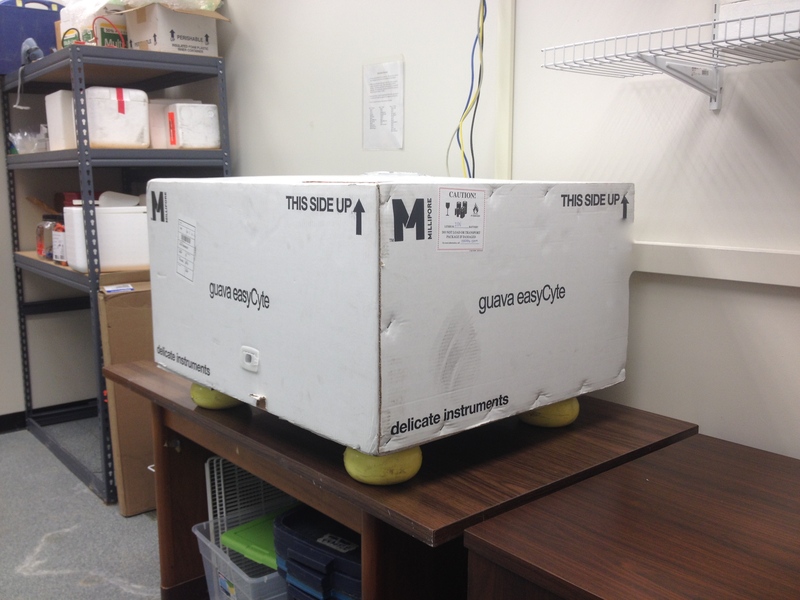 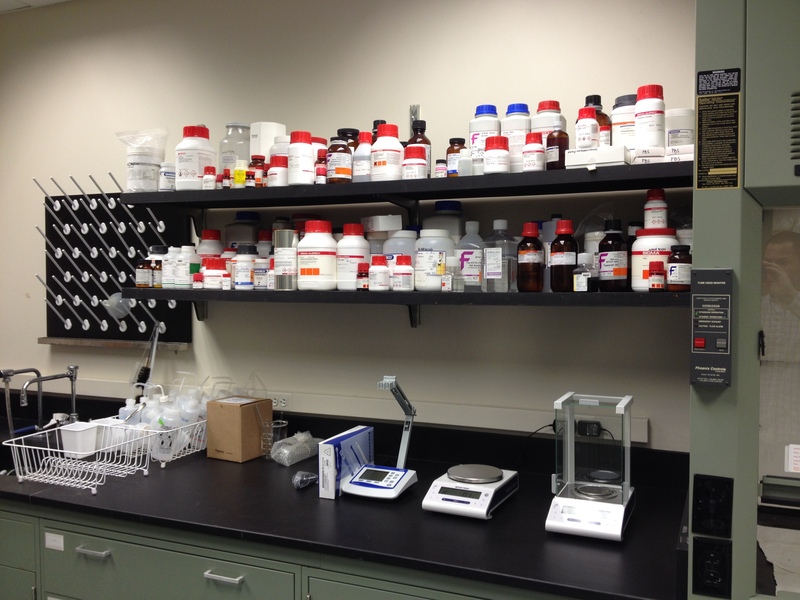 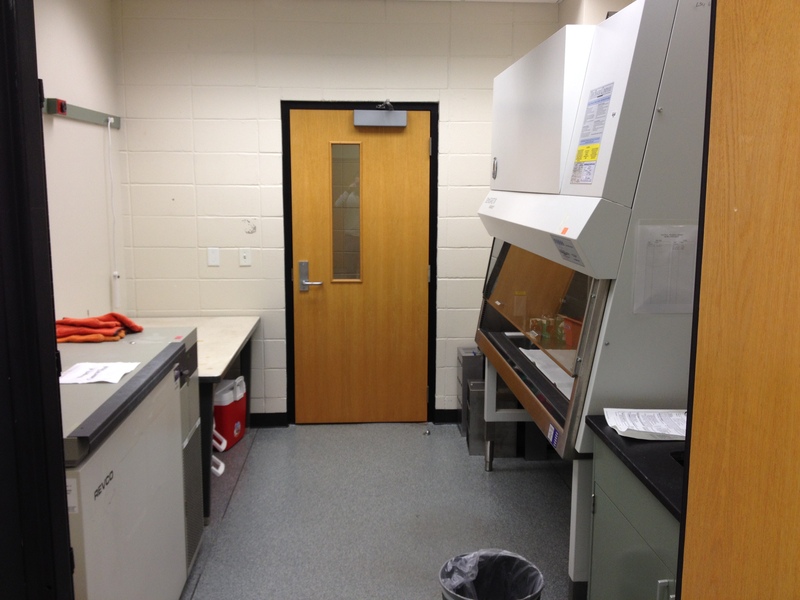 A panorama standing in front of the fume hood, the door to the culturing room is in the center. 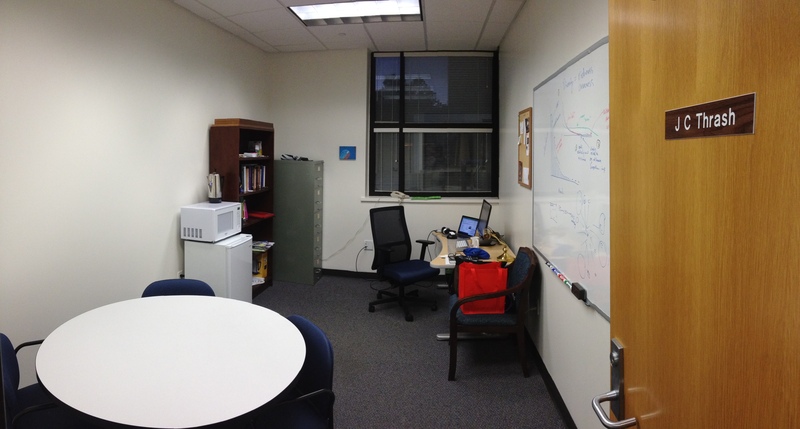 The culturing room without it’s crown jewel (Guava).